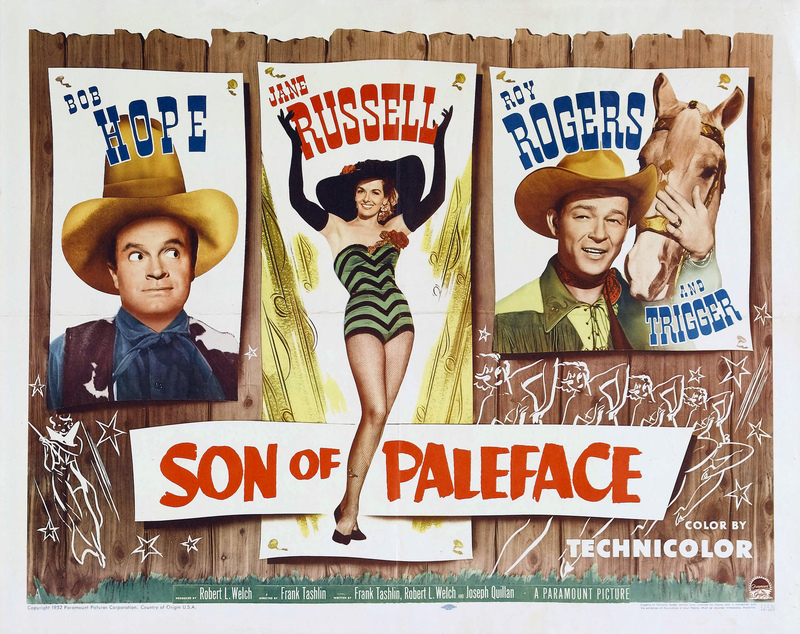 Paramount, 1952. 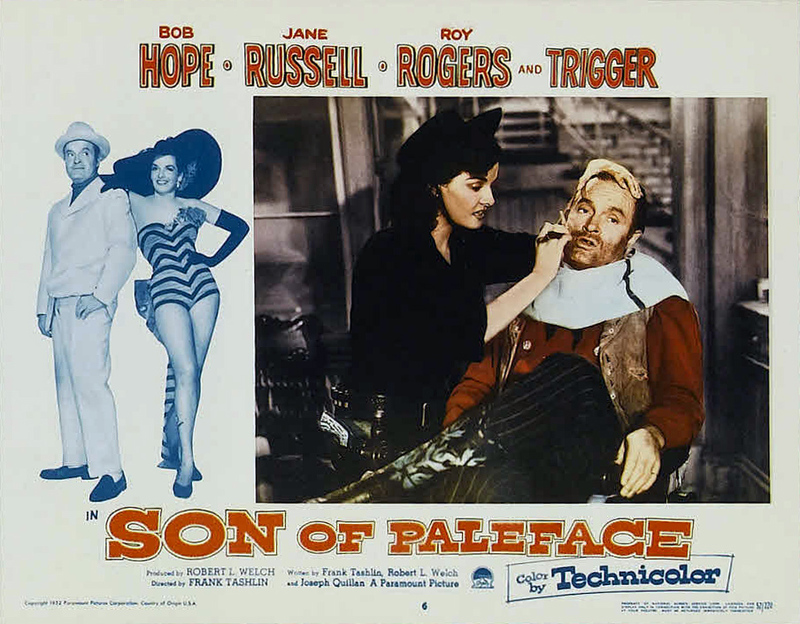 Directed by Frank Tashlin. 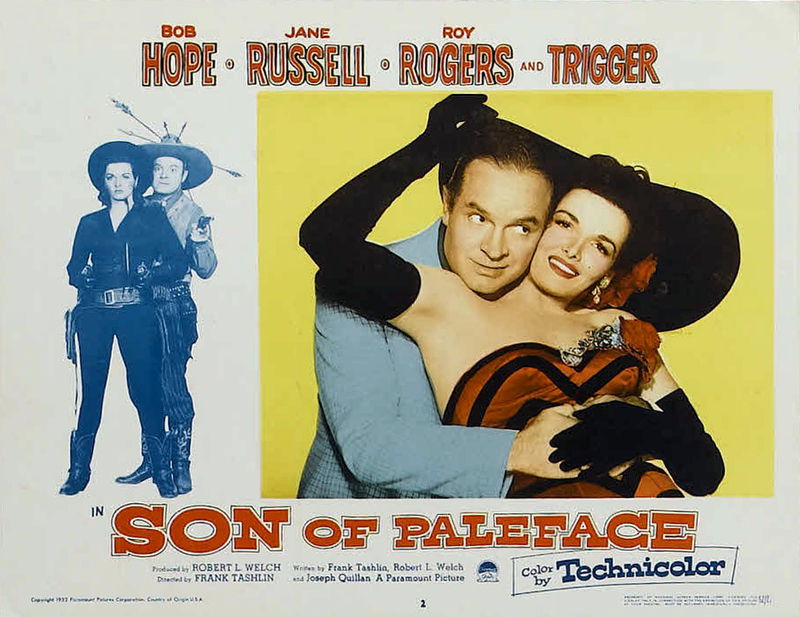 Camera: Harry Wild. 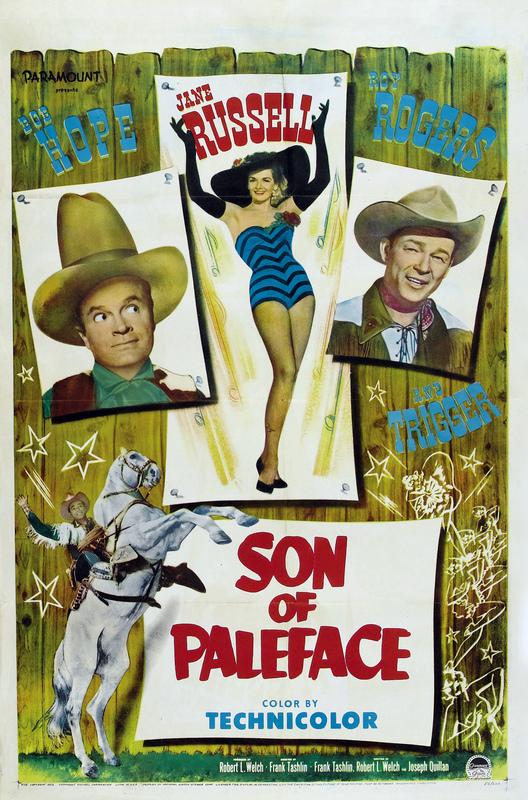 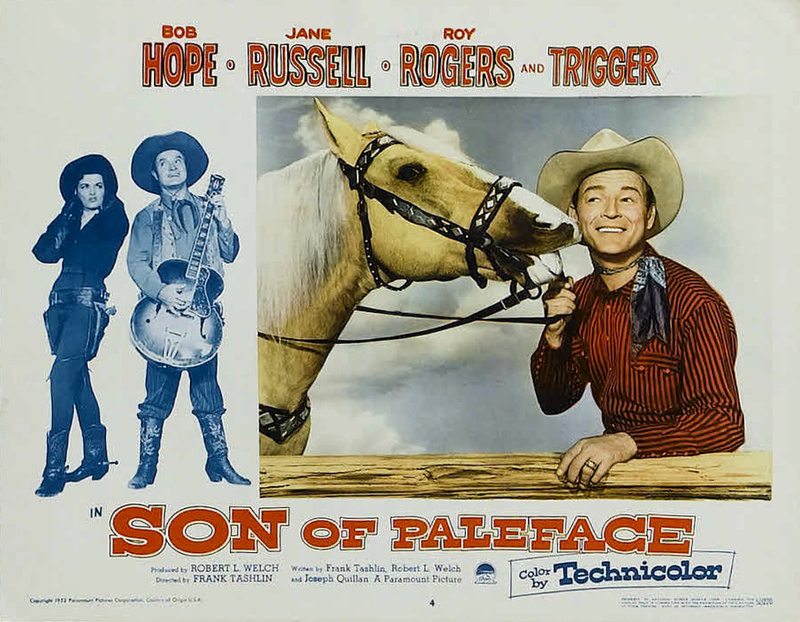 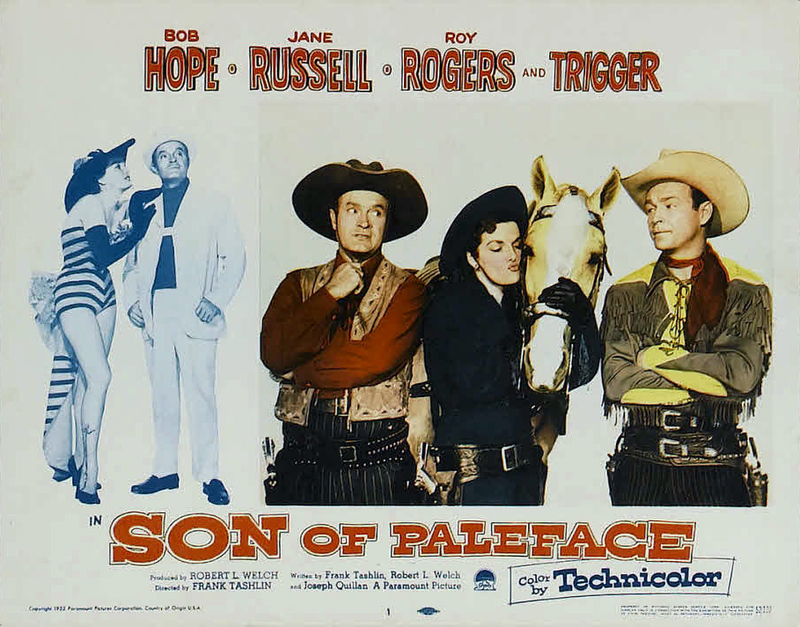 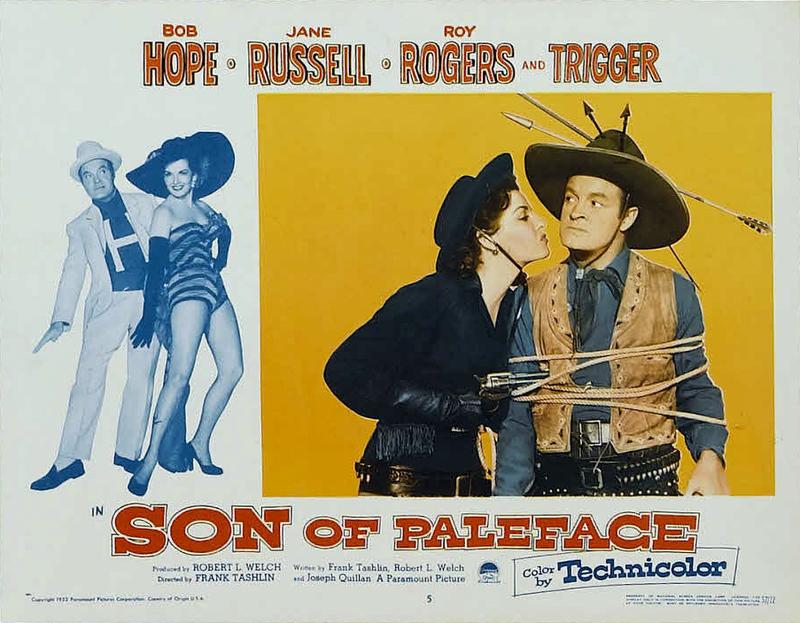 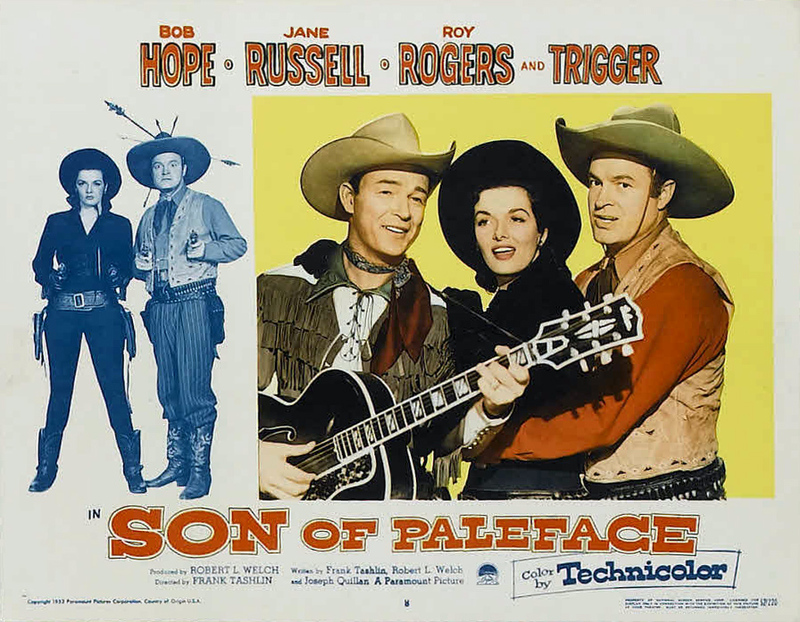 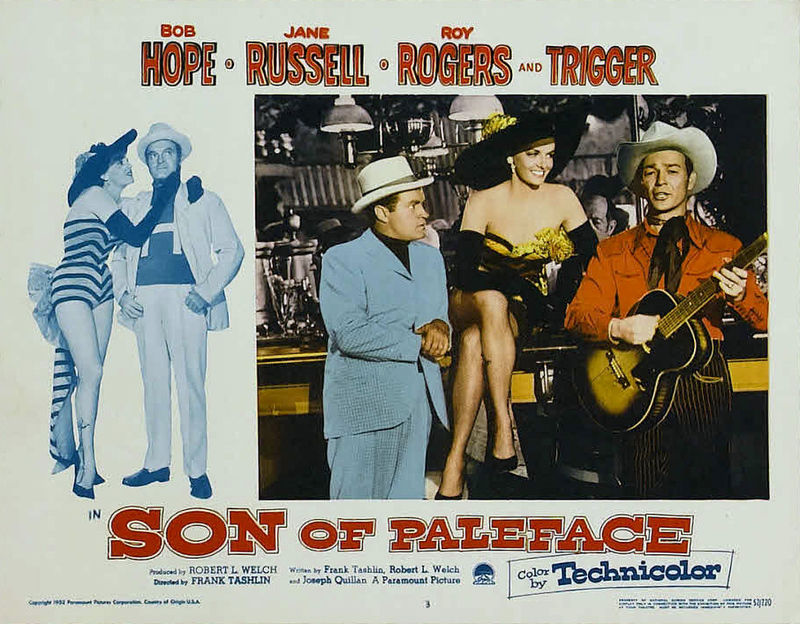 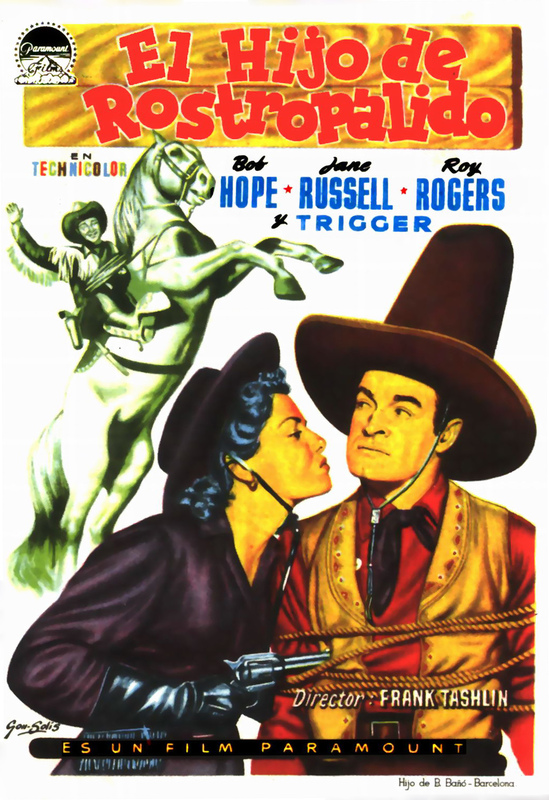 With Bob Hope, Jane Russell, Roy Rogers, Bill Williams, Lloyd Corrigan, Paul E. Burns, Douglass Dumbrille, Harry Von Zell, Iron Eyes Cody, Wee Willie Davis, Charley Cooley, Charles Morton, Don Dunning, Leo J. McMahon, Felice Richmond, Charmienne Harker, Isabel Cushin, Jane Easton, Homer Dickinson, Lyle Moraine, Hank Mann, Bing Crosby.